Seed Identification Guide (SIG), is a newly released guide to the morphology of weed seeds of importance to Canada, available in both French and English. SIG features an illustrated interactive Lucid key to 36 families as well as fact sheets for 136 weed species, including seeds regulated as Class 1 to 5 prohibited and noxious weeds in Canada. The SIG author team participated in ITP’s 2010 tool building workshop as part of the Plant Health Quadrilaterals, a cooperative effort between the United States, Canada, Australia, and New Zealand to harmonize plant health initiatives. Seed identification is critical in the enforcement of seed, plant protection, and phytosanitary regulations in the U.S. and Canada. Simple-to-use morphological characters emphasized in the fact sheets and key, such as shape, color, size, and surface, make this tool easily accessible for non-experts. Other features in the tool, such as an illustrated glossary and searchable image gallery, help in using the tool and can increase users’ knowledge and skills in seed identification. Numerous detailed photos and drawings of seeds support this highly visually oriented tool. SIG is the first significant offering from the recently-formed International Seed Morphology Association (ISMA). An organization formed by several seed morphology experts from Germany and Canada, ISMA aims to "promote collaboration, knowledge sharing, resource development, and research among those who are interested in seed morphology and seed identification." USDA is a partner of ISMA, with members of USDA Agricultural Marketing Service Seed Regulatory and Testing Division offering their seed morphology expertise, and ITP offering digital tool development expertise. 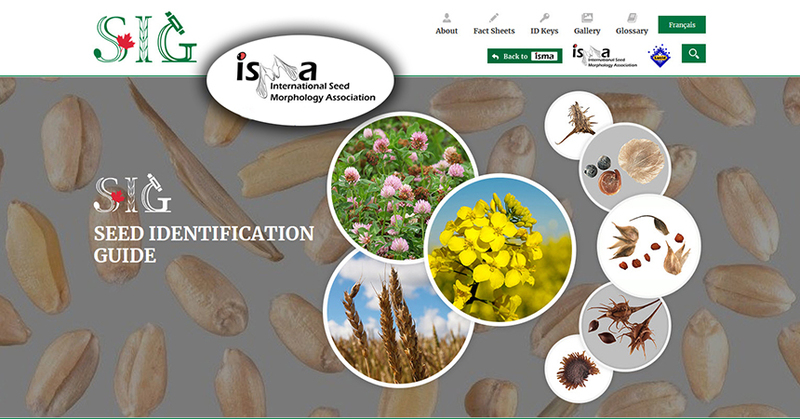 SIG is currently the primary resource found on the ISMA website, but it will eventually include collaborative features such as fact sheet templates and author guides, and will establish a seed identification database. ISMA is intended to become a place for users and members to share and obtain seed morphology and identification expertise.